Personal growth is a lifelong process. It is a way for people to improve their skills, abilities, and qualities in relation to their goals in life to realize and maximize their potential. This is a vital part of a person’s development as to their maturity, success, and happiness. There are four stages of personal growth ……. These four stages of learning can be applied to any area of life: driving, cooking, all sports, martial arts, meditating, networking, art, parenting, and so on. For those willing to embrace these stages of learning, transforming from unconscious incompetence to unconscious competence is available to everyone. Without personal growth a person becomes stagnant and chances of future progress and success are limited! Another way to look at it is to establish a habit of lifelong learning! The more you know the more you realize you don’t know? Personal growth has a profound effect on every aspect of our life. As we progress on a personal level, we begin to feel more positive about life in general. We are more motivated because learning and growing add a sense of accomplishment, others will start to acknowledge our actions and we will start to see just rewards, both financially and emotionally. Personal growth and development allow us to become the best possible version of ourselves. It expands our awareness of the possibilities and opportunities around us. The final point, to personal growth, is that it is not enough to just think about doing it. You must develop a system to use to develop your skills and abilities. That would include a list of habits, skills, activities, and abilities you want to improve. Then action steps on how you are going to improve and how much you want to improve in the listed areas. Then learn what is required and start the process of spaced repetition to implement the action steps toward final achievement. It is work and you must be disciplined to do it. 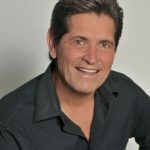 GEORGE DUBEC is considered one of the top Internet Marketing Experts in the USA! He started his career in 1995 as VP of sales for a company that produced a TV SET-TOP box that provided Internet to television. In 1997 he became VP of Sales and Marketing for one of the top web design and hosting firms in the Southeast. 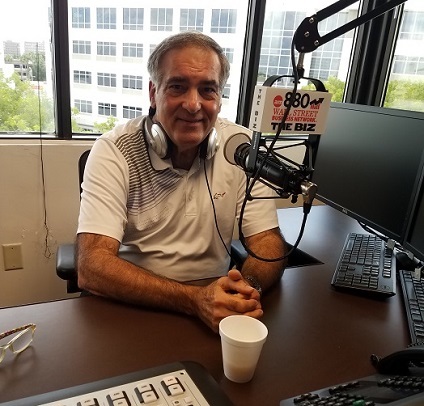 He hosted and produced the “Internet Business Hour” radio show, broadcast in over 35 markets for 12 years. George became an independent consultant in 2010 and has worked with top companies and organizations to help them use the Internet to promote their products and services successfully and get more traffic and more sales. He has been an outstanding judge for the Web Awards since 2006 reviewing all the top websites in the world! 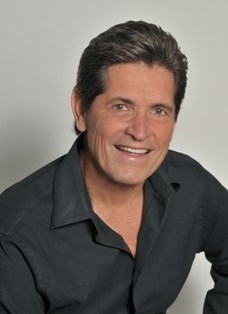 Because of his years of experience, he is considered a top connector in the high tech world, which gives him access to the best resources available, all the latest cutting edge technologies and up to date programs, systems and software.A nationally recognized speaker about “How to do Business on the Internet,” he presents to groups, organizations, companies and at trade shows on a national basis. 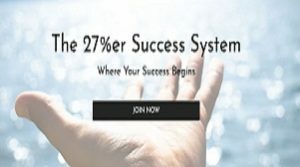 Plus included in your membership, you will receive The 27%er Success System. 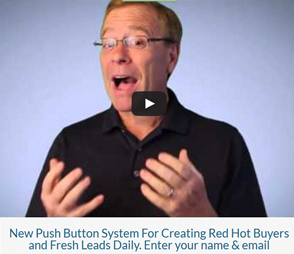 This system is the best personal and business development system in the industry. 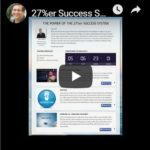 Watch this 3-minute video and then join us and watch your business grow! Start My Membership Now For 97₵!